“The doctors said he should have been dead,” his grandmother, Lorrie Slattery, said. This incident is particularly troubling in my mind on the anniversary of the 1963 bombing of the 16th Street Baptist Church in Birmingham, where Addie Mae Collins, Cynthia Wesley and Carole Robertson (all 14) and 11-year-old Denise McNair lost their lives. Many more were injured. Racist attacks existed before Trump’s presidency, obviously, but he stands out as a president who has been noticeably slow to condemn them — or silent — no doubt in part over fear of alienating the racist core of his base. Silence, tacit approval, and false equivalencies from the top almost guarantee that more racially motivated attacks will follow. When I first saw the story of the New Hampshire attack, I was equally disturbed that Police Chief Mark Chase’s only initial comments centered the well-being of the perpetrators without a single denouncement of the crime. “Mistakes they make as a young child should not have to follow them for the rest of their life,” Chase was quoted as saying. His department has also been tight-lipped on the story further, with no statements making it clear that hate crimes will not be tolerated in his community—a case of dangerous, enabling silence instead of leadership. Claremont now joins Charlottesville as another example of a spike in hateful rhetoric and attacks that have taken root during the Trump era of coddling white supremacy. Trump’s tepid response to the Charlottesville neo-Nazi march that resulted in the death of anti-racism activist Heather Heyer prompted Congress to pass a resolution condemning white supremacy. But even after signing it, Trump has returned to “violence on all sides” rhetoric that ignores the rise of armed right-wing militia group and hate crimes. An attempted lynching in a mostly white town in 2017. Thankful this young man survived. We can’t let this story get lost. My tweet about the attempted lynching got more “likes” and retweets than anything I’ve ever tweeted on my years on Twitter, as of now, 209,501 likes and 167,552 retweets. I also got more trolls than usual, quickly blocked: people more offended that I attributed it to “Tr*mp’s Amrica” than by the act itself; people who believe it’s racist to even discuss racist acts; people who apparently believe we should ignore racism rather than speak up for a brutalized child. Much of the blowback was denial; much was also the fear of societal change that fueled Trump’s election. But most people of all races and ethnicities were simply as outraged as I was. It actually goes deeper than outrage: despite everything I know about this nation’s violent racial history, I didn’t want to believe the story. I read the original story twice before I tweeted it, and even then I called the victim a “young man” because I made myself forget he’s only eight. Eight! A baby. Who could do such a thing to such a young child? On one level, I couldn’t wrap my mind around it, and neither could thousands of others who shared the story. Soon before I read about the child in Claremont, I saw the new film adaptation of Stephen King’s It, where the terror of childhood bullying is personified in the form of an evil clown named Pennywise. In King’s story, and in the film, small-town bullies target all children who are misfits—including a black child named Mike Hanlon. In one scene, a pack of white bullies is severely beating Mike while Pennywise gleefully stares on. Pennywise fomented evil in humans. That made perfect logical sense. Part of the success of the film is the idea that chasing and vanquishing Pennywise as a unified front provides cathartic release. But there was no Pennywise in Claremont—only teenage boys whose friends and family members might characterize their behavior as typical “boys being boys,” perhaps from families who are “very fine people,” and a police chief whose primary focus seems to be to protect the perpetrators rather than condemning their crime and protecting future victims. Banner hanging at NAACP headquarters in New York, circa 1920-1938. There is no demon to vanquish in Claremont—except the curse of human frailty and our country’s long history of racial and ethnic violence against the Other. The teenagers in Claremont were just the newest actors in a long-running play, like the men who beat 14-year-old Emmett Till to death over a lie. Did someone “teach” the teenagers in Claremont hate? Or is hate in the air our young people breathe because of the stranglehold of white supremacy that makes it more offensive to call out racism than to act it out? When the president built his political credibility as a racist “birther,” calls Mexicans “rapists” during his campaign, surrounds himself with white supremacists, targets Muslim refugees, and is reluctant to call out neo-Nazis with the full authority of is office, that is lesson enough for all of us. Sometimes fiction is the only way to make sense of the insensible. I was 14 when Miami burned in insurrection after police officers were acquitted for murdering black motorcyclist Arthur McDuffie in 1980, and I discovered that writing might save my life when I wrote a utopian prose poem called “I Want to Live”—simultaneously envisioning the better I future I wanted and staking my claim in it. I also tackle the inter-generational cost of racism in my novel The Good House, where a demon again shoulders at least some of the blame. As painful as Wilson’s story is, the logic of devilry at work in “The Devil in America” seems strangely comforting in the face of our ongoing challenge of healing our nation’s racial wounds. At the core of Wilson’s story is a cautionary tale of what happens when we abuse power even a little, or when we make deals with those we shouldn’t. In real life’s headlines, all we’re left with is a horrid tale of a child’s lynching and the stubborn belief by so many people around us that when it comes to racism, the only devil is the messenger. Tananarive Due is an American Book Award-winning author who teaches Afrofuturism and Black Horror in the African-American Studies Department at UCLA. What do the works of Octavia E. Butler, Jordan Peele’s Get Out, Marvel’s “Luke Cage” and the music of Janelle Monáe and George Clinton have in common? They’re all in the realm of Afrofuturism, an arts movement sweeping the world and firing up imaginations of people from all backgrounds. Afrofuturism – also known as the Black Speculative Arts Movement – centers black characters and innovative voices in comics, music, science fiction, fantasy and horror. Whether it’s the prophetic dystopia of Octavia E. Butler’s Parable of the Sower, an android slave auction in Janelle Monáe’s “Many Moons” video, or racism as a kind of demon in Get Out, Afrofuturism explores voices that traditionally have been erased to provide a map through the past and present with an eye toward a better future. JOIN THE FREE WEBINAR TO LEARN ABOUT THIS CLASS: I teach Afrofuturism at UCLA, and for the first time I’ll be co-teaching a 10-week public webinar with pioneering science fiction writer Steven Barnes (“The Outer Limits,” Lion’s Blood) starting Saturday, March 25th : “Afrofuturism: Dreams to Banish Nightmares.” Lectures will be broadcast live online, but if you miss one, you can watch the video feed at your leisure. You’ll get a syllabus of works to explore in your own time, live lectures online, and access to the slew of interviews we’re conducting for the course: interviews include “Luke Cage” writer/showrunner Cheo Hodari Coker, Oscar-winning producer Reggie Hudlin, Hugo Award-winning author Nnedi Okorafor, pioneer Samuel R. Delany, author M.R. Carey (author/screenwriter of The Girl With all the Gifts), activist Bree Newsome (who took down the South Carolina Confederate flag), Jamie Broadnax of Black Girl Nerds, artist John Jennings – and more! These guests will share craft secrets and their views on Afrofuturism’s power. Steve and I will also share an interview we conducted with Octavia E. Butler in 2000. Why is Afrofuturism so powerful? 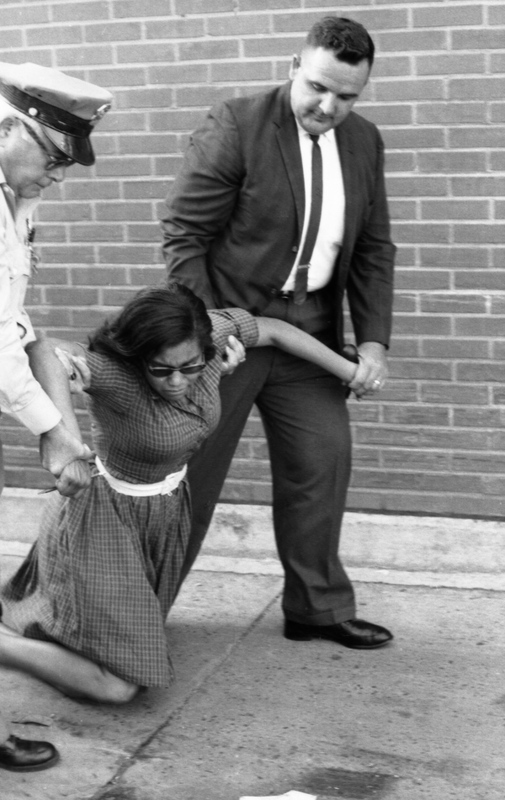 Imagine: Fifty years ago, in the 1960s, when young black and white activists were being murdered and attacked for trying to register blacks to vote—how awe-inspiring was Lt. Uhura on “Star Trek”? Lt. Uhura, played by Nichelle Nichols, was a validation on the deepest level that blacks would not only survive—we would thrive. Her impact was so powerfully felt that Dr. Martin Luther King, Jr. asked her not to quit the series when Nichols was ready to leave. And if you’ve read Octavia E. Butler’s work, you know how strongly she was guided by a principled social vision that decried hierarchy and subjugation – themes that could not be more relevant in our current political times. What qualities provide great leadership? What is the path through hardship? How can we imagine the future we want to avoid – or the one we want to build? Whether it’s the utopian escapism of jazz pioneer Sun Ra or the heroic feats of Black Panther, Afrofuturism helps give us tools to both cope with and subvert harmful social trends. At an event I attended in West Palm Beach Saturday called Black Women Rise, activist icon Angela Davis discussed the impact of Afrofuturism on real-life world-building. Whether it’s by magic, alternate history, horror or projections in the future itself, Afrofuturism is a powerful tool in real-life worldbuilding. REGISTER for our Afrofuturism webinar to explore a new world. Tananarive Due has won an American Book Award, an NAACP Image Award and a British Fantasy Award. She teaches Afrofuturism at UCLA. Steven Barnes has won an NAACP Image Award and an Endeavor Award for his alternate history, Lion’s Blood. Recently, I took part in a conference at Princeton called “Ferguson is the Future,” which blended speculative artists with social justice activists for a magical weekend of sharing and dreaming. Whether it was on panels or only in our minds, as artists we all confronted the question of how we might use our art to broaden our impact in true life world-building. Days later, I took my iPhone to a local hiking trail and started shooting a short film called “Lost”–about a woman, you guessed it, who gets lost on a hiking trail while she’s trying to find her office team-building retreat. (I actually got lost three times shooting the film, but that’s another story.) The woman happens to work for a private prison company, and the rest is…well, you’ll see. I am a novelest-turned-screenwriter who has had scripts optioned within the Hollywood system, and in 2013 my husband/collaborator, Steven Barnes, and I co-wrote and co-produced a crowdfunded short zombie film called “Danger Word,” starring Frankie Faison and Saoirse Scott. I’d had the benefit of being on director Luchina Fisher’s set to see how all of the pieces fit together to turn a script into a film. I’m fortunate enough to have an iPhone 6 with iMovie, and that was all I needed. In the hands of a more seasoned director and editor, the iPhone CAN create cinema quality films. (The Sundance darling “Tangerine” was shot on an iPhone 5S.) In my case, I wanted to tell a simple story that would both entertain and inform, primarily through social media. All of my work, including my novels, has a certain spoonful-of-sugar-helps-the-medicine-go-down quality. History, for example, is often at the root of issues my protagonists face in the present. As I mentioned at Princeton, I was raised by two activists: civil rights attorney John Due and the late Patricia Stephens Due, who spent 49 days in jail for sitting in at a Woolworth lunch counter in Tallahassee, Florida–along with her sister, Priscilla, and a few other students from Florida A&M University. I was raised at my parents’ knees with stories of individual courage in the face of great odds to try to build a better world. But my parents never scoffed at my dreams of being a writer, even when I was writing about talking cats or children stowing aboard space ships rather than stories of racism and struggle. As my mother often told me, the civil rights orgnanization the NAACP always invested in the Beverly Hills/Hollywood branch because its leaders understood the importance of images in creating a brighter future. Filmmakers like Spike Lee (Do the Right Thing and Malcolm X) and Ava DuVernay (Middle of Nowehere and Selma) have been deeply inspirational in the ways they combine art with messaging. And Ryan Coogler’s Fruitvale Station, about the killing of Oscar Grant by transit police, helped spark a national conversation about police abuse before Ferguson. As we all discussed at Princeton, Afrofuturism–or black speculative fiction–lends itself particularly well to questions of dystopia and societal change. Whether it’s the near-future bleakness of Octavia E. Butler’s Parable of the Sower, the alternate slavery history in Steven Barnes’s Lion’s Blood, or the sumptuous world-building in N.K. Jemison’s The Fifth Season, speculative literature arms readers with a lens through which to view–and, hopefully, to improve–the world we live in. Often, my work serves as more indirect allegory. But “Lost” is very specific. Pioneering science fiction writer Samuel R. Delany has said in an interview that he did not set out to “change the world” in the science fiction he began publishing in the 1960s–and yet, his very presence as a black writer and the casual conversations around race, gender and sexuality in his work were revolutionary. As I said in a recent interview in “The Guardian,” even today the presence of characters of color in fiction (and film) feels revolutionary because we have been erased for so long. Steve and I wanted to make “Danger Word,” a black horror film, because we were tired of the same old horror tropes that often rendered black characters useless, spiritual guides or purely sacrificial. We are at a crossroads as a nation. With more growing awareness, President Obama’s recent visit to a federal prison (the first by a sitting president), and bipartisan support for criminal justice reform on the street level and beyond, we can all unite to make a difference. Here’s a petition you can sign today to urge lawmakers to embrace criminal justice reform. 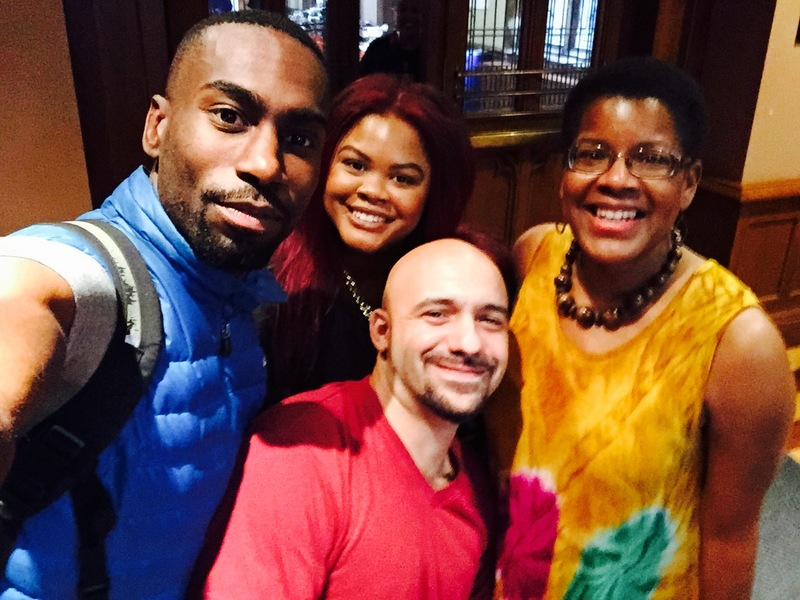 Left to right: DeRay Mckesson, Johnetta Elzie, author Daniel José Older, and me. Fired up from Princeton, with “Lost” I was ready to amplify my social justice message in a short film. And, hopefully, create a short that would also be entertaining enough that people would share it whether or not they care as passionately about ending mass incarceration as I do. Horror or “Twilight Zone” fans, for example. I hope you will enjoy “Lost.” If you do, please spread the word. And as an artist, consider the ways you might introduce large and small revolutions in your own work–even if it’s only in a single brave choice, a character from an ignored community, or a tiny nugget that will encourage your audience to think about our world beyond your story. 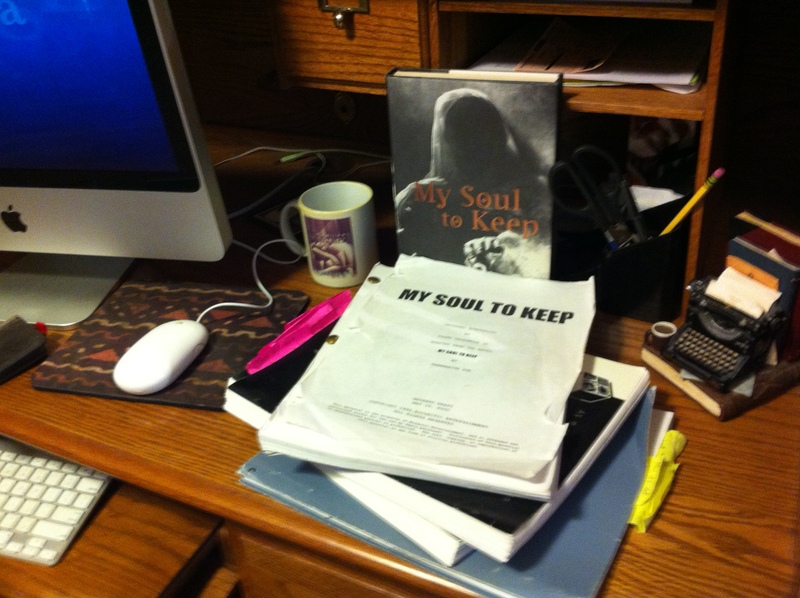 Update 7/13: The My Soul to Keep feature screenplay I wrote with my husband, Steven Barnes, is finished and being shopped. In December, I posted here that I was going to begin working on a My Soul to Keep screenplay (with husband and collaborator Steven Barnes). Today, we’re on page 73. Progress hasn’t been easy. But as Cosby Chair in the Humanities at Spelman College, I’ve been inspired by teaching talented students, guest speakers like director Ava DuVernay, and an Octavia E. Butler Celebration in March that featured a Black Science Fiction Short Film Festival and shorts like Pumzi, Wake, and The Abandon. I’ve also had interest and input from directors and producers. But since My Soul to Keep was in development at Samuel Goldwyn Productions and Fox Searchlight in past years, I understand that there is a long road between a producer’s query and a movie. I have lost author friends who never lived to see it: Octavia, L.A. (Leslie) Banks, E. Lynn Harris. Several other screenwriters have written drafts of My Soul to Keep in development, but Steve and I had never written our take. I realized that emotional factors were blocking my writing progress. It was so difficult to coax my Muse out to play when I couldn’t promise that the writing would be anything except a long exercise toward disappointment. As a screenwriter on other projects, I’d been down that road before. Suddenly, we believed. We had an audience. We could do it. Enter Danger Word. That was the first piece of prose I ever wrote in collaboration with Steve, so it’s only fitting that it will be our first film together. Originally published in the Brandon Massey’s 2004 Dark Dreams anthology and re-imagined as an episode in our 2012 YA horror novel Devil’s Wake, it’s the story of a young girl and her grandfather who have survived the zombie plague in his wooded cabin–and how an outing goes terribly wrong. Rural location. Two main characters. My friend Luchina Fisher had just directed a short film in 2011, Death in the Family, and she was excited about directing Danger Word. The first day I floated the idea on Facebook, a prospective cast member wanted to see a script. And in the midst of the duties of a producer–everything from fundraising to helping with decisions about casting to the makeup/FX artist–Steve and I have steadily been working on My Soul to Keep. We will finish our first full draft soon. 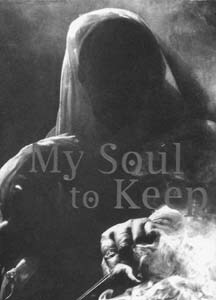 If you haven’t read it, My Soul to Keep is the 1997 supernatural thriller that launched my African Immortals series: it’s about a 500-year-old immortal, Dawit, who breaks away from his secret brotherhood to find love with his daughter and wife, Jessica. It’s a thriller with a love story at its core. Why has Danger Word helped so much in the creation process for My Soul to Keep? Because as a novelist who took up screenwriting later in my career, I struggled with the notion of spending weeks or months on a project that might never see the light of day. Sure, I wrote drawers of unpublished fiction when I was learning my craft, but I’d been spoiled by book contracts and the certainty that someone would read my work. Since most screenplays are never produced, period, screenwriters don’t have the luxury of that certainty–or even that likelihood. Twelve drafts later, a project might die in film development–and that’s if you’re lucky enough to get twelve drafts. And screenwriters of color face obstacles that make a tough industry even tougher. 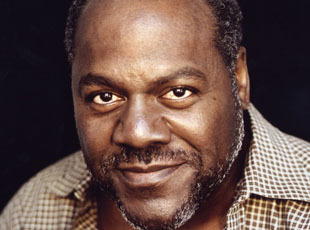 But watching Danger Word come to life–hiring a veteran actor like Frankie Faison to star in it, watching an excellent team assemble around a story about a girl and her grandfather–has convinced me that I can make a film. And if I can make a short film, I can make a longer film. If I can make a longer film, I can make My Soul to Keep one day. My Muse likes that idea just fine. I try to sound sympathetic, but secretly the stories are music to my ears. The great Harlan Ellison once advised me to avoid labels like the plague, and I know some readers are forced to argue my case at their book club meetings. The scariest book I’ve ever read may be Toni Morrison’s Beloved, alongside novels like Pet Sematary by Stephen King. Horror is just a label. But I like to write scary stuff. I don’t know why. If I want to write about a woman in a difficult relationship, her lover is an immortal. If I’m reuniting a character with her grandmother, Grandma has been dead for years. I can’t help myself. Sometimes I wish I could. Often, the supernatural element is more gentle and metaphysical, but once in a while I set out to give readers nightmares. It’s not an easy task. Novelists have to compete with real-life headlines and everyday turmoil that are far scarier than anything we can dream up. Haunted house—so what? The bank just foreclosed on your house. Your boss just laid you off. Your parent is in a nursing home. The challenge of writing scary fiction, I think, rests with the very thing that appeals to us as readers and writers: We’re looking for an escape. No matter what else happens to us over the course of our lives, we won’t have to confront a demon that can possess us. Most of us, anyway. Horror fiction scares us in a safe context. As both a writer and a reader, I look to characters unfortunate enough to land in these books for tools about how to behave when the world caves in on us. My favorite experiences as a writer are when I can make myself cry…or scare myself. The crying is easy—I’m a softie. I can find myself bawling as I write a scene a reader might encounter without the blink of an eye. Whatever pain I’ve pricked might be purely personal. But if I scare myself…chances are, I’ll scare the reader too. 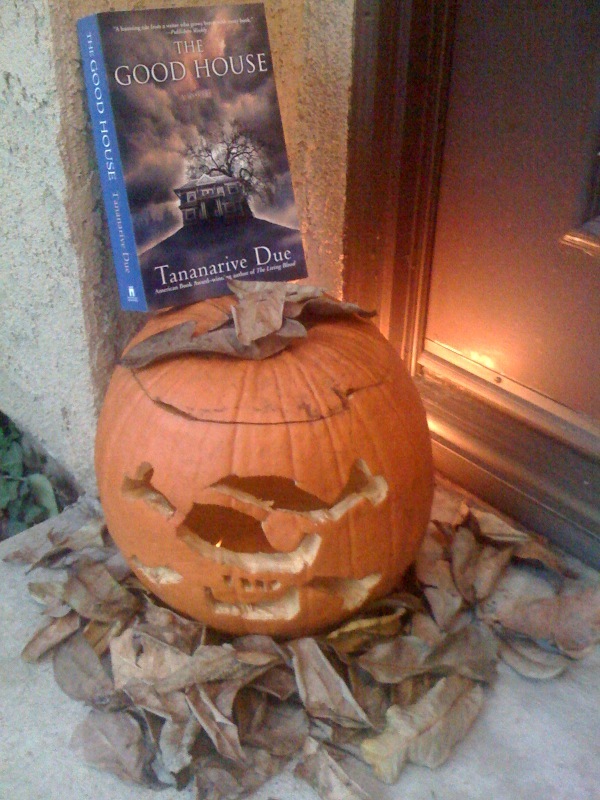 The scariest book I’ve written may be a novel called The Good House. It’s my only book about characters facing a force that’s Evil through and through—so evil it had to be put to sleep hundreds of years ago, and my characters accidentally woke it up. 1.) Create characters your readers believe. This is probably the most oft-ignored rule in bad horror movies and fiction. You can create the most frightening concept imaginable, but if you don’t have real people to unleash it on, your readers will yawn. Who would read a 300-plus page novel about a dog barking outside of a Pinto unless they really cared about the mother and son trapped inside? (Cujo.) Ask Stephen King how important characterization is in creating horror fiction. While I was writing, I tried to make the protagonist in The Good House especially vivid by pinning up a photo of Angela Bassett, after whom my lead character was named. I tried to infuse my book’s Angela with the brittle strength Bassett conveys in so many of her movie roles. The rest was just trying to imagine how I would behave if I found myself in her horrible predicament. 2.) Delve into your own fears. This might sound like a no-brainer, but sometimes writers do everything they can to avoid touching the heart of what frightens them. The Good House was chock full of real-life horrors: A friend’s sudden loss of her teenage son. A story from a shaman about a demon gone wild. A bizarre newspaper story about a man who drowned his son in front of his playmate. 3.) Create a real world. On one level, your readers are daring you to scare them. They’ve hunkered down into a mindset that says I-know-this-isn’t-real-so-there. A short prologue that introduces your supernatural element or gives them a tastes of the horror to come is a fine hook…but after that, slow down and take your time. Ground your story in the mundane aspects of life we all know and recognize…and then slowly begin to show your supernatural hand. By the time your readers realize you’ve roped them into believing the unbelievable, it’s too late. They’re stuck on the ride. Also, give your characters—and your readers—time to breathe. One thrill-ride after another will desensitize them for the moments you really want to count. Slow down. Add some levity. A quiet dinner. A love scene. Then…gotcha! 4.) Steer clear of movie clichés. The Good House has elements of both a traditional haunted house novel as well as an Exorcist-style demon…but I didn’t set out to imitate anything I had seen before. My challenge was to try to re-imagine familiar concepts and make them my own. In her last novel, Fledgling, Octavia E. Butler delved into vampire mythology with her own unique interpretation, drawing on her skills as a science fiction writer. In my view, far too many writers set out to write horror fiction because they’re inspired by movies rather than the route any good writer should follow—reading a lot of good literature and developing a unique voice and perspective. If you’ve seen it a million times before, so have your readers. Don’t watch horror movies, except for fun. Read, read, read. Note for screenwriters: This applies to you too. If you want to write horror scripts, READ horror scripts. And Oscar-nominated scripts. And any quality scripts you can get your hands on. I wrote three drafts of a screenplay adaptation of The Good House for Fox Searchlight with my husband and collaborator, Steven Barnes. My creative breakthroughs as a screenwriter during that time came after reading scripts like Josh Olson’s A History of Violence, Alex Garland’s 28 Days Later and 12 Monkeys, by Chris Maker & David and Janet Peoples. Watching the films is cool too, but I learned far more from reading the screenplays before and while viewing the final product. Where’s the movie version of The Good House? So far, still on paper. In my imagination. Like most film projects, it fizzled out, awaiting a new home. And yes, it’s going to be scary. 2015 update: The Good House is currently optioned again. My newest short story collection, Ghost Summer, is on sale now. My YA zombie series with Steven Barnes, Devil’s Wake and Domino Falls, is also available now. WATCH the short film adapted from “Danger Word”: www.dangerword.com.